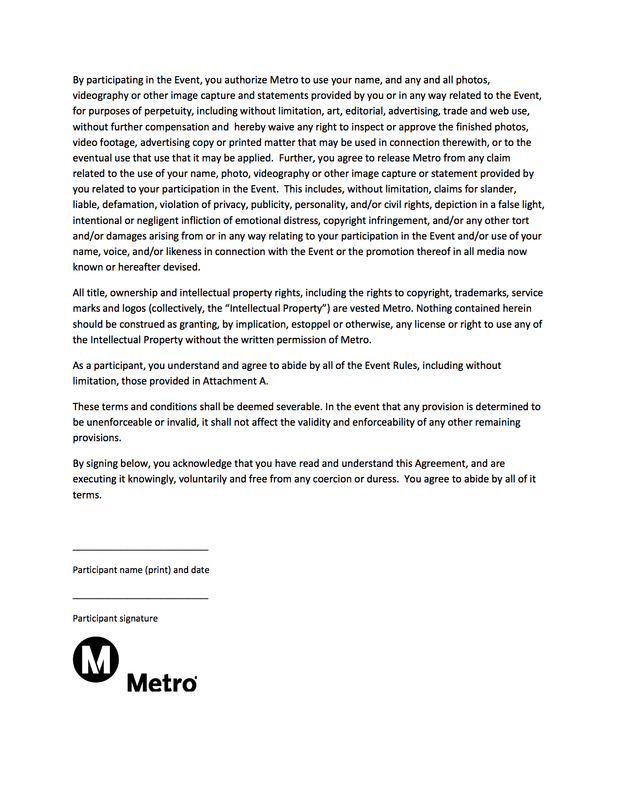 If you’re participating in Friday’s “Speed Dating on the Red Line” event, above is the waiver you will need to sign. 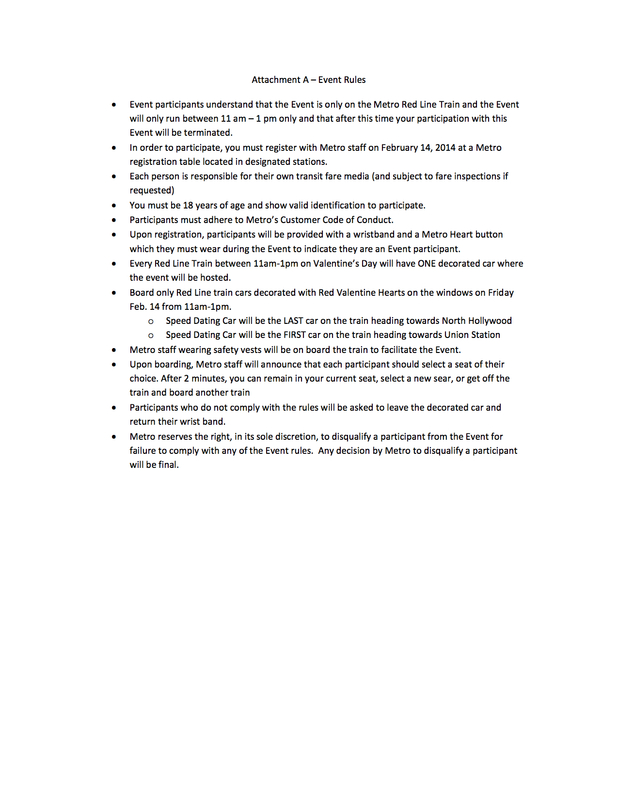 If you want to get a head start, here’s the waiver, which will also be available at registration for the event. 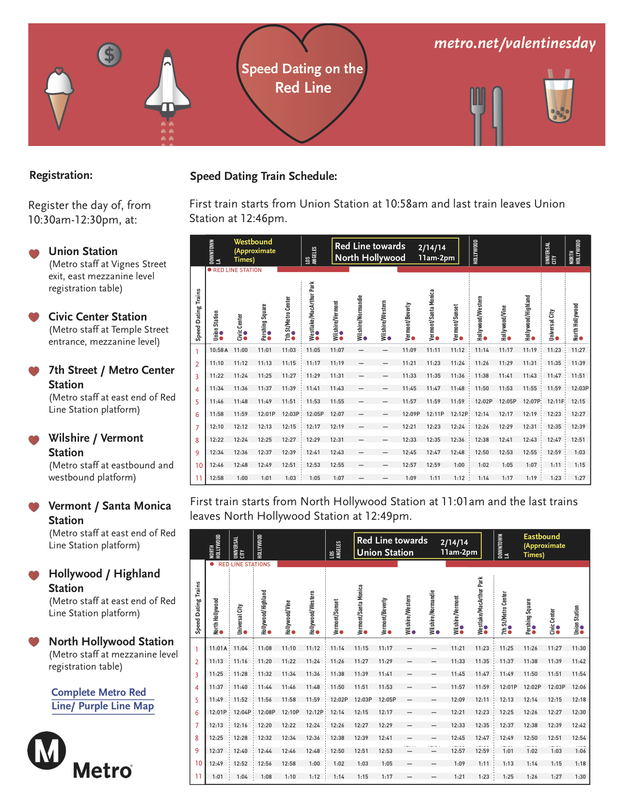 Registration will be on the east mezzanine of the Red Line station at Union Station (the transit plaza and Vignes Street side) and the mezzanine level of the North Hollywood station. 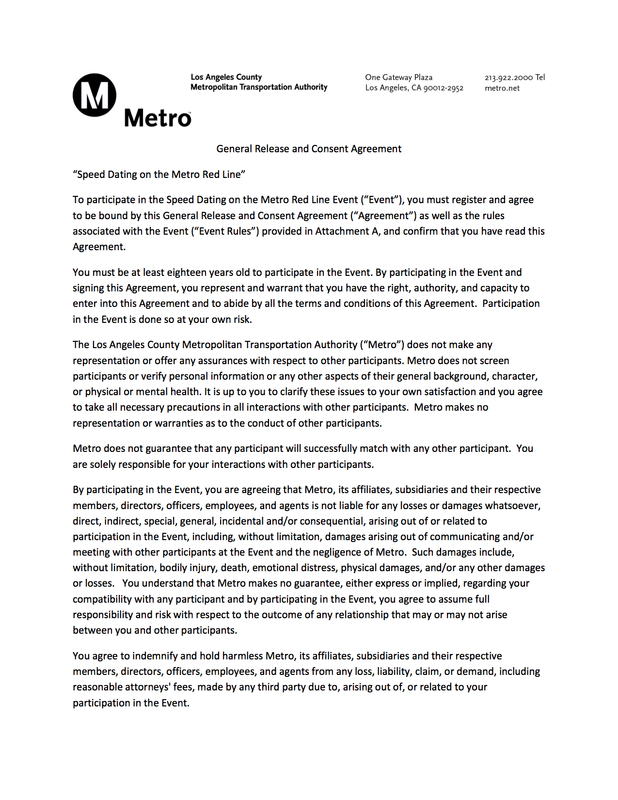 Registration opens at 10:30 a.m. and runs until 12:30 p.m. and ‘speed dating’ will be from 11 a.m. until 1 p.m.
You can also download the waiver and the event rules. Please click on ‘download’ in the top left corner of the page. What’s the event all about? First you’ve heard of it? Check out the flier below. 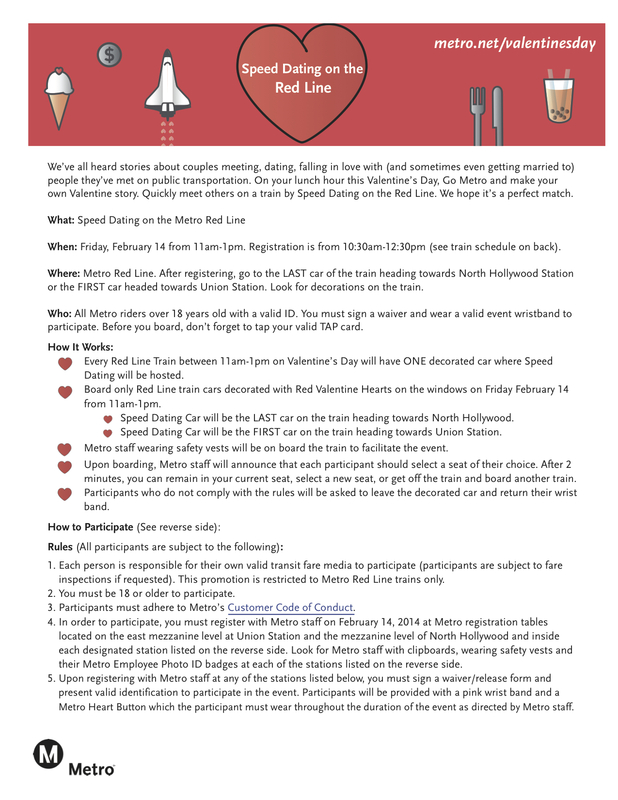 And if ‘Speed Dating’ is a little too much for you, Metro has an Instagram Valentine’s Day contest. Thanks for a great event! Had a wonderful time. Thanks for coming out, B.Kuo!